This listing is for ONE star & moon stacker ring. Additional stackers sold separately. Part of my new line of stack rings, this adorable sterling silver moon & stars charm is soldered to a handcrafted Argentium Silver band. Argentium Silver is a tarnish resistant silver that is made to last and shine! It is made from 100% recycled silver, so it is 100% Eco-friendly! These are made to order. These rings are hand soldered from 16 gauge wire. The more rings you buy, the bigger the discount! This ring comes on a twisted argentium silver band. 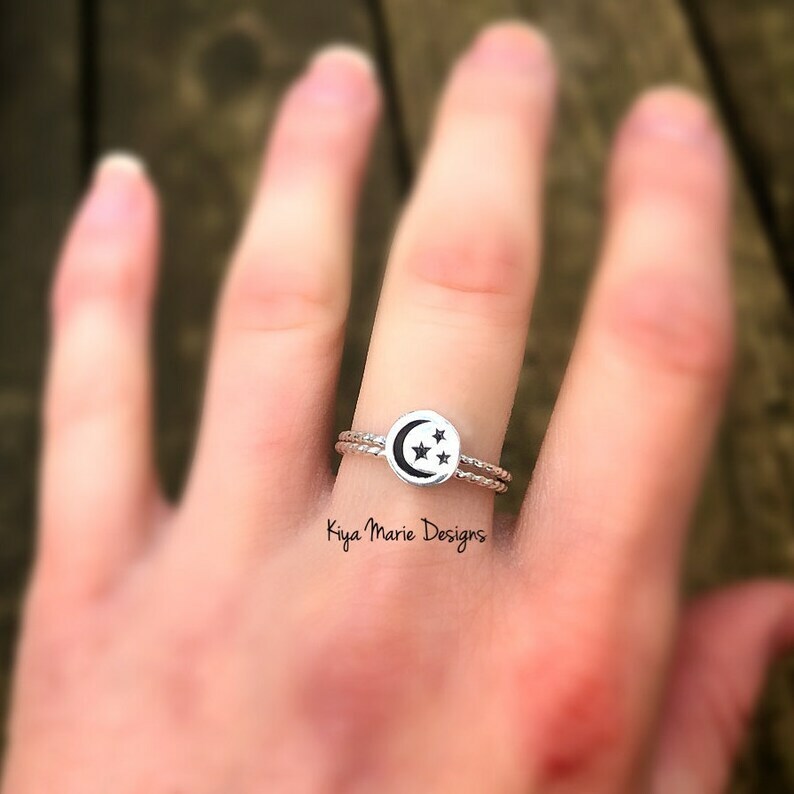 If you would like a plain round band or hammered band, please leave a note upon checking out.